Springs are an essential component on a recreational trampoline. If they are damaged, bounce quality will be affected and unfortunately this kind of damage is irreversible. 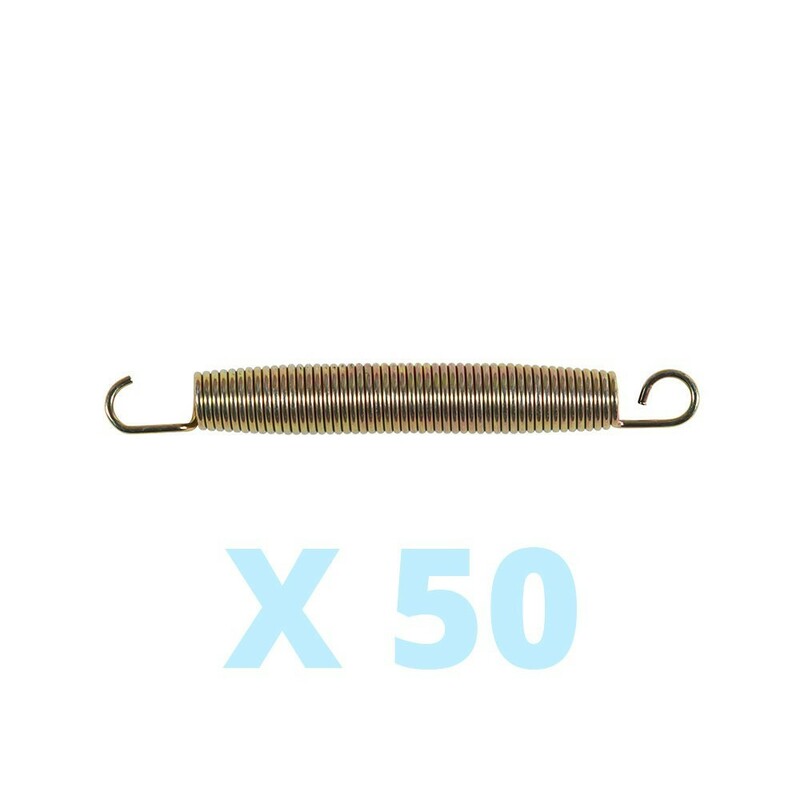 Thanks to this pack of 50 springs, you can make your recreational trampoline as good as new if it uses springs of 230 mm in length. 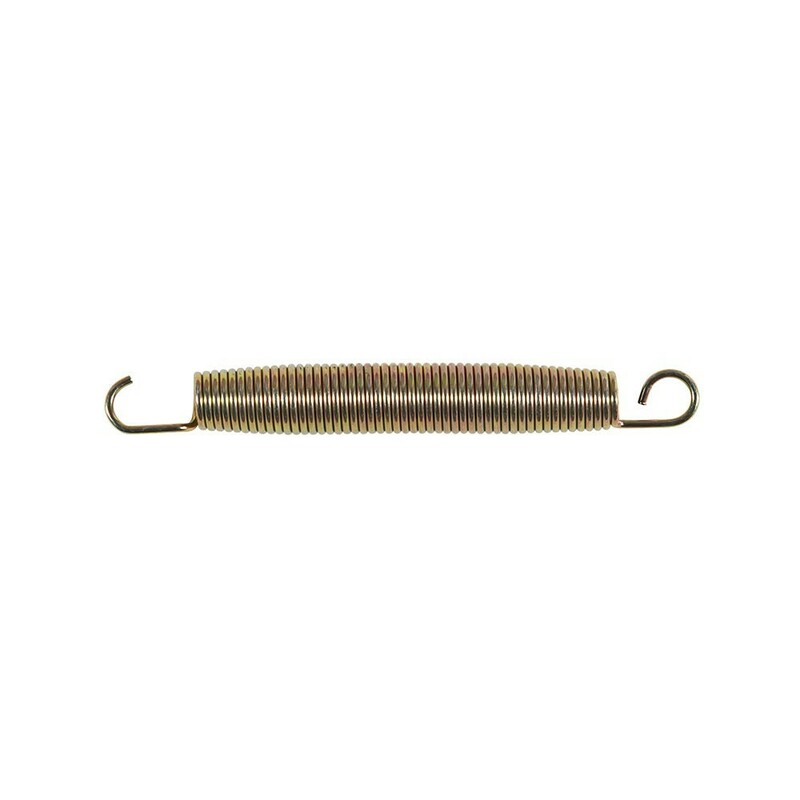 - These springs measure 230 mm in length, hooks included. The steel wire has a 3.3 mm diameter and the coils a 28 mm diameter. - These long, 23 cm springs have hooks, which have been designed to be easily fixed to your trampoline and maintain the jumping mat securely in place. One hook is more closed and is fixed to the jumping mat, whereas the other hook is more open and is therefore easily hooked onto the galvanized steel framework of your trampoline. - To remove your old springs, we would recommend using a hooked clamp to stretch out the spring and remove the hook easily by placing pressure on the coils. NB: These springs can be used on the Booster range (except the Booster 300) and the Waouuh, Ovalie 490 and Apollo Sport 500 trampoline ranges, as well as on any other trampoline with springs of 230 mm in length, hooks included.